After selling out their memorable show in Park City, Utah—The Sound City Players have booked another show at the Hollywood Palladium on Jan. 31, 2013. The mega-supergroup, helmed by Dave Grohl, includes Stevie Nicks, Rick Springfield and John Fogerty. Members of Black Rebel Motorcycle Club, Cheap Trick, Fear, Rage Against The Machine and more will perform in addition to Dave Grohl and his extended Foo Fighters and Nirvana family. This is going to be a historic night in music! 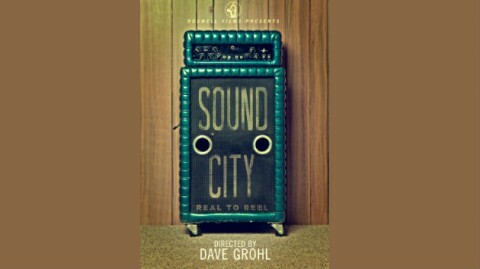 Tickets to the Sound City Players at the Hollywood Palladium will go on sale today, Wednesday January 16 — at 12 Noon. Tickets are priced at $75 + service fees (ouch). BUY YOUR TICKETS TO THE SOUND CITY PLAYERS AT HOLLYWOOD PALLADIUM! This entry was posted in Just Announced and tagged Black Rebel Motorcycle Club, Cheap Trick, dave grohl, Fear, Rage Against the Machine, The Sound City Players on January 16, 2013 by Sandra Burciaga Olinger.